Amboseli National Park: This Park is also known as Kilimanjaro’s Royal Court. The ecosystem mainly consists of savannah grassland spread across the Kenya-Tanzania border. The park is famous for being the best place in Africa to get close to free-ranging elephants among other wildlife species. Other attractions of the park include opportunities to meet the Maasai and spectacular views of Mount Kilimanjaro. Activities available in this park include game viewing, camping, viewing Mt. Kilimanjaro, bird watching and photography. 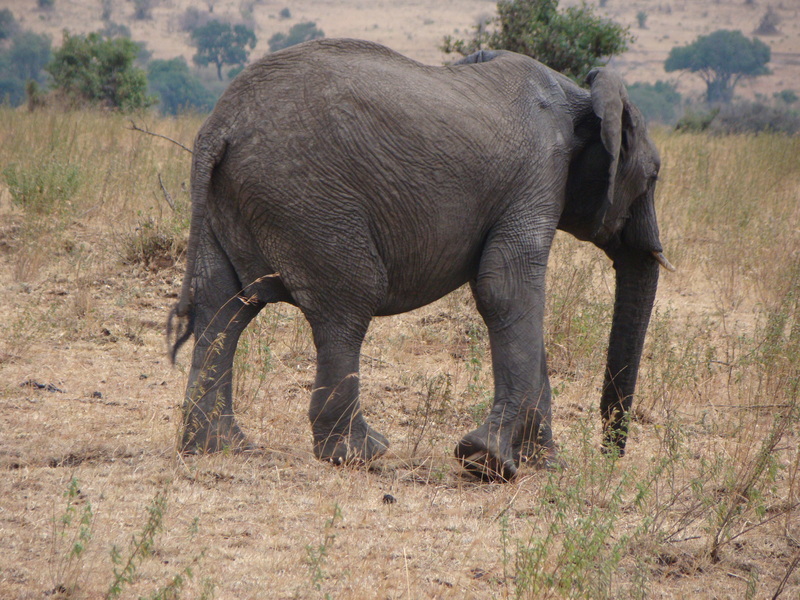 Attraction sites within the park include the big five, the observation hill which allows an overall view of the whole park especially the swamps and elephants, the swamp below observation hill hosts many elephants, buffaloes, hippos and a variety of water fowls like pelican, Egyptian goose as well as the contemporary Maasai culture and indigenous lifestyle. Tsavo West National Park: The park consists of savannah ecosystem comprising of open grasslands, scrublands, and Acacia woodlands, belts of riverine vegetation and rocky ridges. Major wildlife found in the park include elephant, rhino, Hippos, lions, cheetah, wild dogs, giraffe, zebra, crocodile, mongoose, hyrax, dik dik, lesser kudu leopards, Buffalos, nocturnal porcupine as well as diverse plant and bird species including the threatened corncrake and near threatened Basra Reed Warbler. Major attractions within the park include recent Volcanoes; lava flows and caves with potential for geological studies; cave exploration and hiking the magical Mzima Springs; underwater hippo and fish watching. Tsavo East National Park: Tsavo East National Park offers a vast and untapped arena of arid bush which is washed by azure and emerald meandering of Galana River. The park is guarded by the limitless lava reaches of Yatta plateau and patrolled by some of the largest elephant herds in Kenya. Major attractions within the park include dust-red elephants wallowing, rolling and spraying each other with the midnight blue waters of palm-shaded Galana River; the beautiful Aruba dam located on the north bank of the seasonal Voi River, visited by thousands of animals and a great game viewing destination; Mudanda Rock, which is a whale –backed Rock tower located above a natural dam, and which acts as a draw to thousands of Elephants; Lugards Falls, named after Captain Lugard, the first proconsul to East Africa, the falls feature bizarrely eroded rocks through which the waters of the Galana River plunge into foaming rapids and crocodile –infested pools. The park is also home to rhino, buffalo, lion, leopard, and pods of hippo, crocodile, and waterbucks, Lesser Kudu, Gerenuk and Hirola. Other activities available include camping, trekking and bird watching. Maasai Mara offers an absolutely unique variety of animals. The reason is that this hilly region is both humid and fertile and is crossed by the rivers Mara and Talek full of crocodiles and hippo and which carry water the whole year around. The banks of the rivers are covered in thick forest which gradually makes way for bush and grassland the abundance of water and excellent availability of food are reasons why the Maasai Mara which in fact is a condition of the Tanzanian Serengeti National park has the greatest population of wild animals in the whole of Africa. Meet and greet at your residence within Nairobi or at Jomo Kenyatta International Airport by “Victoria Safaris Representatives” in the morning. After the briefing, depart to Amboseli arriving at the foothill of the majestic Kilimanjaro in time for lunch at the tented camp. After lunch, depart for afternoon game drives before returning to the tented camp to relax as you wait for dinner to be served. Spend 2 full days within this reserve viewing wildlife, birds and enjoying the natural ecosystem that exists within this park as you view and photograph the scenic landscape which characterizes this park. Cultural visits to Maasai villages can also be organized. After breakfast check out of the tented camp and depart to Tsavo West arriving during the late morning hours at the lodge. You will then carry packed picnic lunch and depart for game drives within Tsavo West giving you a chance to spot the red skinned elephants, Mzima Springs, Shetani Lava Flows and also enjoy birding. In the evening be transferred back to the lodge for dinner and overnight stay. Spend the day enjoying morning and afternoon game drives within the extensive park especially looking out for wildlife and bird life as well as different types of ecosystems found within the park. You will have an opportunity to spot large herds of elephants, Buffaloes, Leopards and other plains game. Other attractions found within this park include Shetani Lava Flows, Mzima Springs as well as a crocodile and hippo observation point. After breakfast, you will check out of the lodge and depart to Tsavo East which is a neighboring park with Tsavo West, and well known for the Man-eaters of Tsavo. Tsavo East is also rich in Hippo, giant crocodiles and varied species of birds. Have lunch at the lodge upon arrival and spend the rest of the day game viewing. Also visit Aruba Dam, Mudanda rock, Lugard’s Falls and the crocodile view point located within the park. You will spend the day exploring the extensive park especially looking out for wildlife and bird life as well as different types of ecosystems found within the park. Enjoy early morning pre breakfast game drives for a chance to spot the early predators as they start off the day. This is also the best time to enjoy birding and photograph the rising sun. 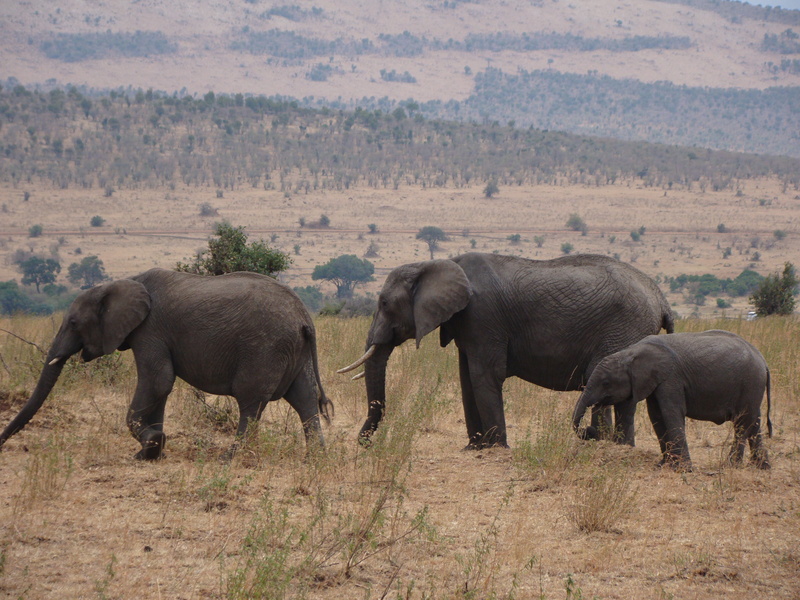 Tsavo is also one of the scenic parks in Kenya. After breakfast you will check out of the lodge and depart to Nairobi with lunch en route. Upon arrival at Nairobi you will spend the rest of the day at leisure at your hotel. After breakfast, be met at the hotel lobby for transfer to the Mara Reserve driving through the Great Rift Valley for scenic views of the escarpment. You may also stop over at the view point for fantastic photographs. You will arrive in the Mara in time for lunch at your tented camp. 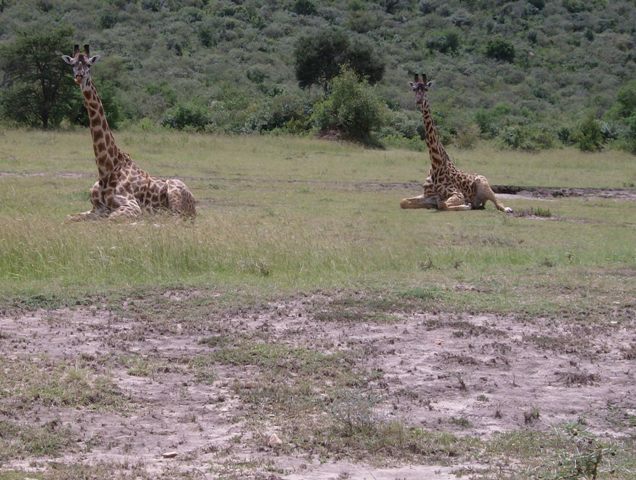 After lunch, proceed with afternoon game viewing within the park. Spend 2 full days within the exciting park which is home to the big five, birds, migration of wildebeest and the colorful Maasai tribesmen. Optional activities include cultural visits to Maasai villages, hot balloon flight, night game drives, nature trails, bird walks or bush meals. 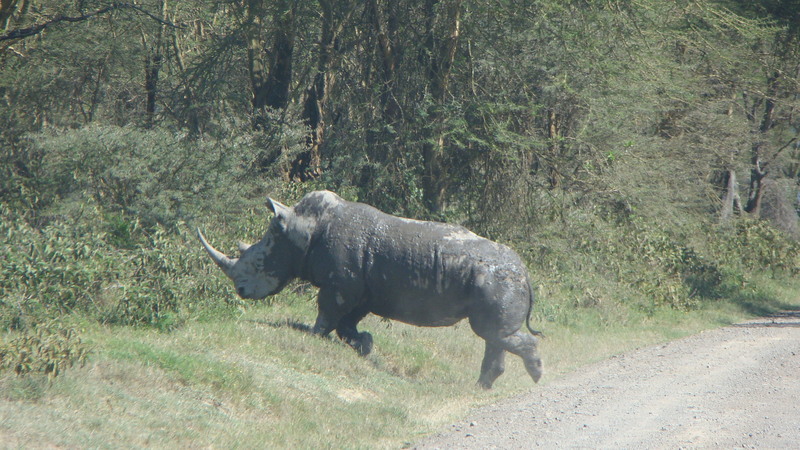 After breakfast enjoy final game drives as you exit the park and depart to Nairobi, stopping for lunch en route. Upon arrival you will be transferred back to your residence within the city or to Jomo Kenyatta International Airport to catch your outbound flight to your next destination. Ø Extras at the tented camps / lodges / hotel i.e. beverages and drinks, telephone, laundry etc. Trip highlights: This is a seven day safari that will be able to take you through The Masai Mara Reserve, which is Kenya’s and East Africa’s finest game sanctuary and among the worlds best wildlife tour destination. This is a staging zone for the Annual Migration of Wildebeests,trailing on their heels, are the predators of the savannah- lion, cheetahs, wild dogs, jackals, hyenas and vultures. Away from the migration, the reserve offers wildlife is such a variety that it is hard to believe; over 450 species of animal have been recorded here. You may easily see the big five lion, elephant, rhino, leopard, not to mention numerous plains animals. The renowned tribesmen also live within the dispersal area of the game reserve, then proceed to Amboseli national park, famous for its numerous elephants.You will stay in mid range lodges, travel in a 4×4 tour minibus privately. Day 1: Arrival – Nairobi. Upon arrival at the Jomo Kenyatta airport, you will be met and by tour manager before proceeding for your private safari with your tour guide. You will be transferred to the Fairview Hotel where you will check in and have the rest of the afternoon at leisure. All meals and overnight stay at Fairview hotel. After an early breakfast, you will depart for the Mara from Nairobi at 7.00 am where you will arrive in time for lunch, thereafter, you will have an afternoon game viewing drive till dusk. All meals and overnight stay at Mara Leisure Camp or Keekorok lodge. After breakfast, you will spend a full day game viewing, which includes going up to the Mara River where the immigration of wilderbeests and zebras crossing takes place annually from Serengeti, popularly known as the Great Annual Migration. You will then stop for an early picnic lunch and proceed with the drive till dusk. In November 2006 the Masai Mara was named as the New 7th wonder of the world because of what experts termed as “the uniqueness of the area and the preservation it provides to so many species living in harmony”. It is understandable because this annual migration is the greatest wildlife spectacle on earth. You can opt to carry your game viewing activity on an adventurous balloon flight over the spectacular Mara at an extra cost. This package includes a champagne drink in the wild. Early breakfast followed by a full day of game driving within the reserve with packed lunch. Early morning pre breakfast game viewing drive, return to the lodge for breakfast, and thereafter depart the Reserve for Amboseli National park through Nairobi with lunch being served at a city Restaurant, arriving at Amboseli in the late afternoon. 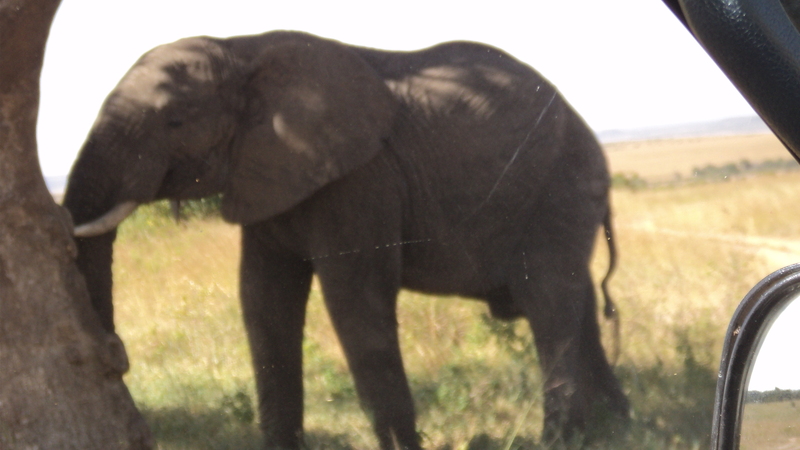 Amboseli is famous for its huge elephant herds. Africa’s highest mountain, Mount Kilimanjaro sits in the upper slopes of Amboseli national park. Mt Kilimanjaro snow white peaks les across the border of Tanzania. Seeing Kilimanjaro hovering above the clouds in the early hours of the morning is quite an experience. For an enthusiastic photographer, animal pictures arising against the dramatic backdrop of the mountain is quite a thrill. 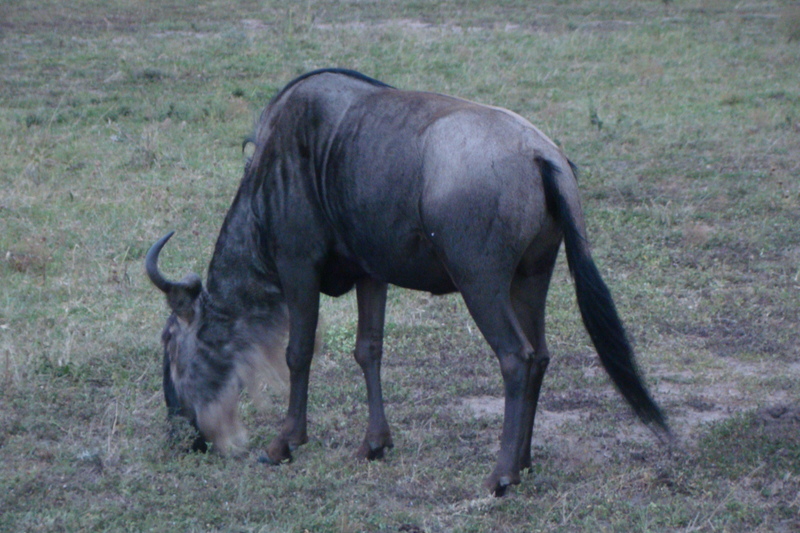 Apart from the elephants, buffalos, black /rhino and other plain animals are in plenty. Dinner and overnight stay at the Amboseli Sopa Lodge. Dinner and overnight stay the Amboseli Sopa Lodge. Trip Highlights: This is an exciting safari that takes you to visit some of the best wildlife sanctuaries in Kenya. This safari starts upon picked up at you hotel in Nairobi and will take you to visit Amboseli National Park and finally to the Tsavo National Parks. You will travel with a professional driver/guide and in a private safari minivan and spend the nights in lodges on full board basis. In the Morning, you will be met and welcomed by the driver/guide and briefing will be done before being taken to the Hotel. You will immediately depart to Amboseli National Park. You will arrive in time for lunch at the lodge before departing for an afternoon game drive within the park. After breakfast you will check out of the lodge and depart for morning game drives within Amboseli for a chance to spot the wildlife when it is most active. The day will be spent exploring this park. The waters from melted snow drain down the mountain under lava flows and surface on the Amboseli plains, creating a green belt of swampland amidst dusty plains. Here elephant, buffalo, lion, cheetah, wildebeest, hyena, jackal, warthogs, zebra and the Maasai giraffe are likely to be seen. After breakfast, you will check out of the lodge and depart Tsavo East for Tsavo West. Upon arrival, embark on game viewing drive, carrying packed lunch, while on the drive. Full day spent exploring the park. Morning and afternoon game drives are offered. This park once famous for its great herds of elephant still has these beats usually covered in red dust and a variety of game and fine scenery. We visit Lugards Falls, Mudanda Rocks and Aruba Dam as we view game if time permits. The landscape in Tsavo West is flatter and drier, despite having one of Kenya’s largest rivers flowing through the middle. Much of the wildlife is concentrated on the Galana River, which has plentiful crocs and hippos. Likewise, Kudus, waterbucks and dik-diks are common along the river banks. Early morning game drive. Soon after breakfast we proceed to Mombasa. Drop off at a beach hotel to start a beach holiday. 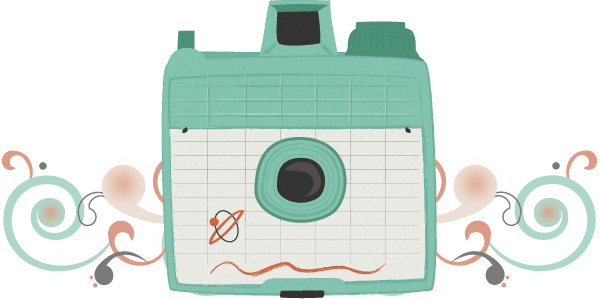 – All items of personal nature e.g. telephone call bills, fax / email bills etc. 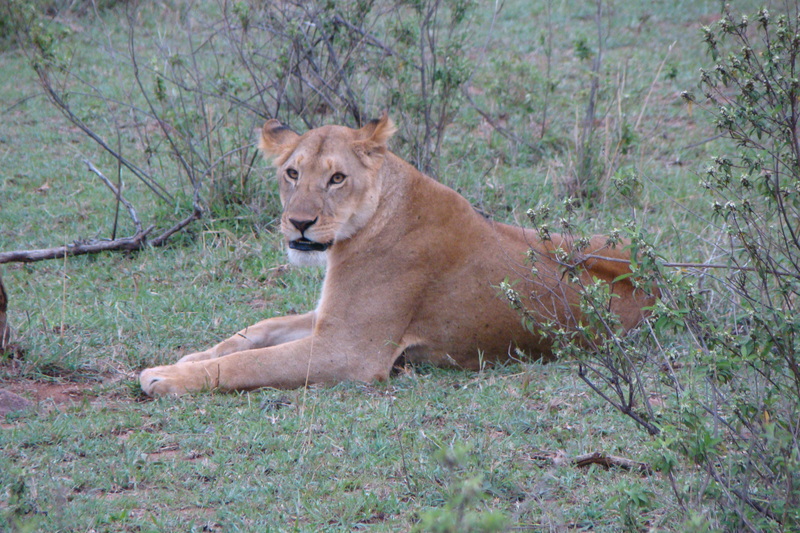 Trip Highlights: This is an exciting safari that takes you to visit some of the best wildlife sanctuaries in Kenya. This safari starts upon picked up at you hotel in Nairobi and will take you to visit Amboseli National Park and finally to the Tsavo National Parks. You will travel with a professional driver/guide and in a private safari minivan and spend the nights in camps on full board basis. The early morning and late evening game drives is a must both for the quality of viewing and for the atmosphere of the wilds of Africa. Mount Kilimanjaro will provide a beautiful back drop. Meals will be provided at the mobile camp. Overnight at the campsite. After an early morning game drive, depart to Tsavo West National Park. Proceed to Tsavo west National Park game drive enroute. Animals include the lions, buffalo, cheetah, leopards, and zebras amongst others. It’s also a rhino sanctuary. After Break fast early morning Game Drive then departs for Nairobi. – Accommodation in lodges on full board basis while on safari. – Transport in a private safari minivan with open roof for better game viewing and photography. – All park entry fees and game drives. – Services of a professional English-speaking tour guide/driver. – Picnic lunches as indicated in itinerary. – Applicable government taxes and levies. – Optional cultural visit to Maasai villages. – Any local or international flight and departure taxes. – Any other item not included in our itinerary including extra excursions. Highlights: This is an exciting 4 days wildlife trailing safari starting from your resort in Watamu to Tsavo East, Tsavo East and lastly to Amboseli before being drove back. You will stay in safari tented camps during this safari on a full board accommodation basis. You will travel in a private safari minivan during this trip. We will pick you from your beach resort (Aquarius resort) in Watamu by our tour manager, who will brief you on the safari thereafter depart towards Tsavo East National Park. You will arrive in time for check in and lunch will be at Mashariki Camp. In the afternoon, you will proceed with a game viewing drive till dusk and return to the camp for dinner and overnight stay. Lunch, Dinner and overnight at Mashariki Camp or Similar. Tsavo West National Park is the second largest Park in Kenya and is famed for the Man-eaters during the construction of the Lunatic Lane (the Kenya-Uganda Railway). Among its attractions include: Chaimu and Shetani Lava flows and the Mzima springs whose source is the Chyulu Hills and provides fresh water to most of Mombasa. There is also an in-built Glass-Tank for observation of the crocodiles and hippos. Dinner and Overnight at Ngulia Camp or Similar. After breakfast departs for Amboseli National Park which is a snowy peak from the Kilimanjaro Mountain. You will arrive in time for lunch will be at Amboseli Kibo Safari Camp; in the afternoon have a game viewing drive till evening. Amboseli National Park the combination of scenery, people and animals is what makes the Amboseli national park of fascinating. Beautifully situated at the foot of the towering Kilimanjaro, it Is the home of the brightly painted Maasai tribe, here you can see lions , cheetahs, spotted hyenas and wild dogs as well as gnus , Kaffir buffaloes , Burch ell’s zebras and herds of elephants . All these animals come to drink at water holes consisting of small lakes or muddy ponds kept filled up by water from the melting snows of Kilimanjaro. The northern lake Amboseli contains water only after rain. Lunch, Dinner and Overnight at Kibo Safari Camp or Similar. After morning breakfast at your camp, you will check out and depart for Watamu arriving in time for drop off in your Aquarius resort. -Pick up and Drop off at the Aquarius resort Watamu. -All Park Entrance fees where applicable. -Accommodation and all meals in tented camp/camps as stated in the itinerary. 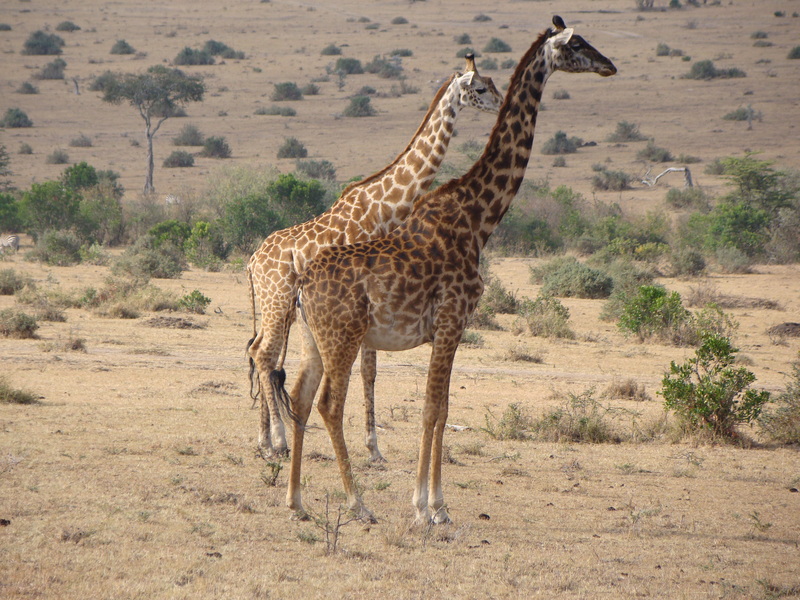 Kenya Wildlife Viewing and Tented Camp Safari. Lake Manyara and Ngorongoro Crater Camping safari in Tanzania.